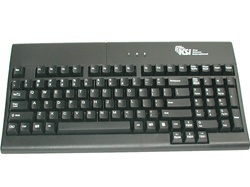 Compact USB keyboard with the integrated Upek TCS1 biometric fingrprint reader. 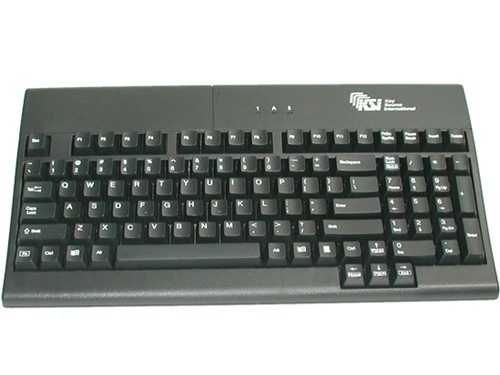 KSI-1401 USB Compact keyboard with a full 104 functionality and Membrane switch technology. It also features full size keys, a numeric keypad,and inverted “T” cursor keys. It is 14.5 inches wide and comes with spill and dust resistant key switch matrix. Great for medical carts and small areas. Available in Black only.